It’s been all round the world and it’s currently pitched up at London’s Excel. Marvel’s Avengers S.T.A.T.I.O.N (Science Training and Tactical Intelligence Operative Network) is a multi-room immersive combination of fun facts, background information and interactive experiences. At the beginning we step into a space ushered in by other ‘agents’ (staff, all in character) and are briefed by Agent Maria Hill. From then on it’s a mixture of the science behind the characters, numerous opportunities to to get up close to the suits and a chance for little – and big kids – to play with some of the well-known film props. Discover what happens to Hulk’s brain when he turns green, try your hand at being Tony Stark and shoot the baddies (never mind the kids, turns out this is ridiculously competitive for adults!) – or attempt to lift Thor’s hammer. Not surprisingly, the interactive stuff is a much bigger draw for small humans than the interesting, but lengthy explanations on the wall. 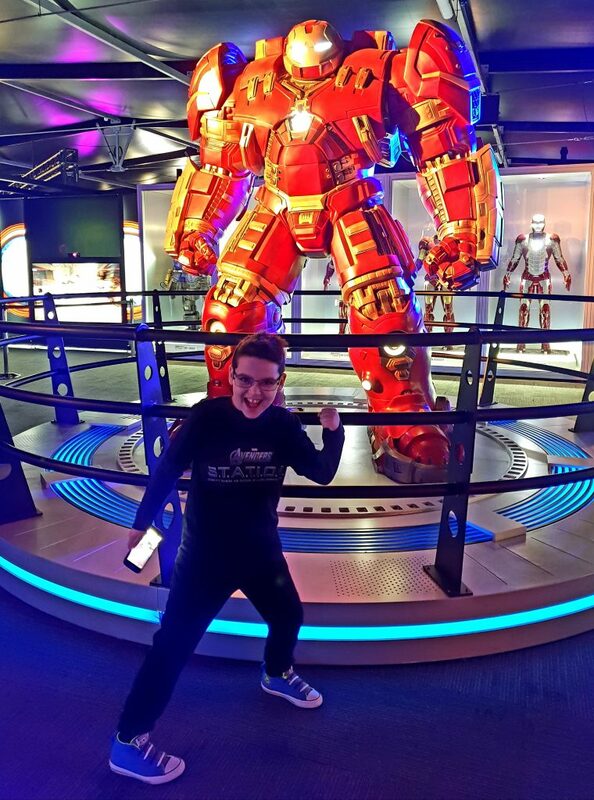 Cue one happy eight year old, Elliot (pictured above) when he finds out he can sit on Captain America’s bike, play with his shield and press buttons on a particle simulator. 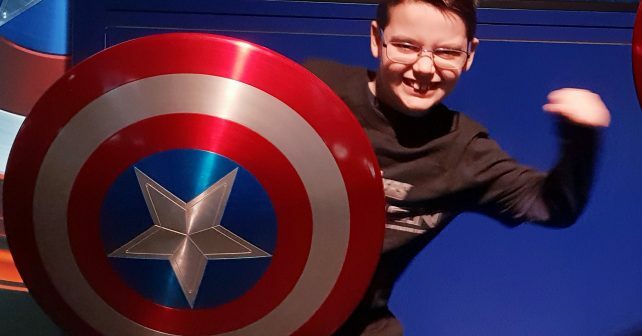 If you’re a Marvel fan It’s a great way to entertain the kids for an afternoon – and it’s pretty good fun for the adults too! Fancy some freebie tickets? Just pop your details on the form below. ️Closing date is midnight 7th February and late entries will not be accepted. Our decision is final. ️Entering this competition will automatically sign you up to the Skint London newsletter.